In his 12th season with the Wizards organization, Tommy Sheppard is in his 21st year of service to the NBA. As Washington’s Senior Vice President of Basketball Operations, Sheppard has helped lead the Wizards back into contention in the Eastern Conference with additions of proven veterans to a promising young core of John Wall, Bradley Beal and Otto Porter. With significant future salary cap room and financial flexibility, Sheppard’s impact on Washington’s rebuilding efforts is considerable. Sheppard’s role in Washington includes responsibilities with salary cap management, negotiations, draft preparation and talent evaluation of collegiate athletes and professionals, both domestically and abroad. Additional responsibilities of Sheppard’s include an assisting role in the recruitment and evaluation of free agents, statistical evaluation of NBA players, the hiring of coaches and personnel, and monitoring the Wizards’ efforts in the NBA’s Player Programs. 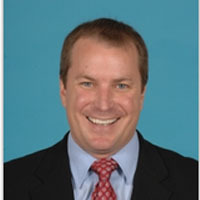 Sheppard is also specifically tasked with organizing the Wizards’ training camp and preseason schedules, overseeing the athletic training, strength training, video, technology and equipment areas for the team, and directing in-arena renovations to areas including the Wizards locker room, players lounge, family lounge and front offices. Previously a member of the Denver Nuggets organization since 1994, Sheppard served as the Nuggets’ Senior Director of Team Services and Player Relations before his arrival in Washington. With Denver, he oversaw all internal and external communications functions and served as the club’s primary spokesperson. He also scouted internationally and evaluated high school, collegiate and minor league talent. For his efforts in Denver and overall contributions to the com­munications efforts of the NBA, Sheppard was honored with the prestigious Splaver/McHugh “Tribute to Excellence” Award in 2010, which is given annually by the NBA Public Relations Directors’ Association to a current or former member of the NBA public relations family who has demonstrated an outstanding level of performance and service during his or her NBA career. An active figure within the United States Olympic Movement for over a decade, Sheppard worked as a press attaché for the three Summer Olympic Games (1996, 2000, 2004), as well as three Olympic Festivals and the 2003 Pan American Games. He assisted with the formation of the Northern European Basketball League (which realigned as part of FIBA Europe) and continues to serve as a consultant for Lithuanian legend Sarunas Marciulionis in various basketball projects. Marciulionis was inducted into the Naismith Basketball Hall of Fame in 2014. Currently an adjunct professor at Georgetown University for the Sports Industry Management, Sheppard graduated from New Mexico State University in 1991, where he was a three-year member of the Aggie football team. After getting his start in media relations as a student assistant at New Mexico State, Sheppard headed the sports information office at UNLV before taking ranks in the National Basketball Association in 1994. He also serves on the Industry Advisory Council for the American Public University and the American Military University Systems. Sheppard and his wife, Rosie, are the parents of five daughters: Bailey, Rebekah, Abby, Emma and Tessa, and two sons, Tommy Jr., and Luke.